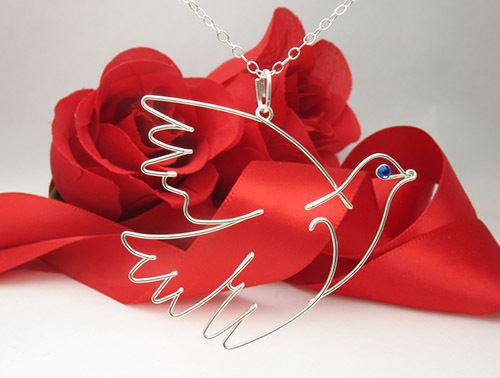 I made precious piece of unique hand made Dove pendant , designed to show elegance of flying through life. 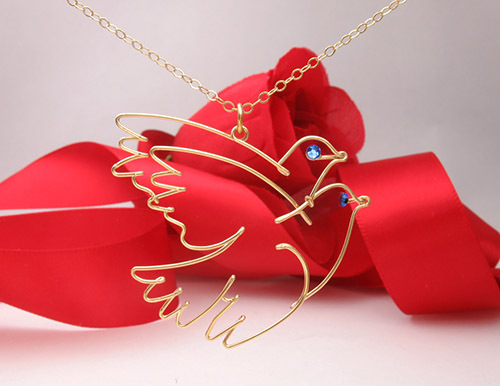 This is all season bird necklace beautiful addition to your wire jewelry.Made of sterling silver or gold filled wire go with everything you choose to wear. Line by line with Swarovski blue crystal eye , I show power to describe beautiful piece of hand made bird pedant. 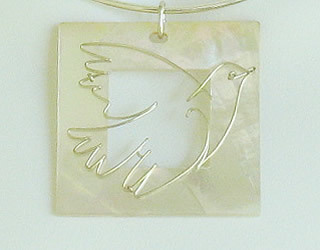 Dove charm measures 3 cm x 3 cm (1.5” x 1.5”) and is available in argentium sterling silver and gold filed wire.